Product prices and availability are accurate as of 2019-04-17 02:24:14 UTC and are subject to change. Any price and availability information displayed on http://www.amazon.com/ at the time of purchase will apply to the purchase of this product. 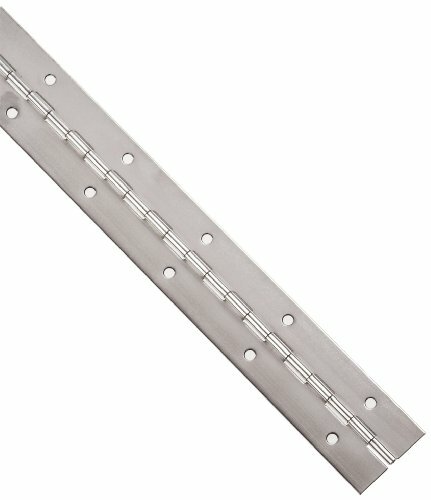 Stainless steel 304 continuous hinge with holes, unfinished. Leaf thickness: 0.042". Open width: 1-1/16". Pin diameter: 3/32". Knuckle length: 1/2". Long: 4'. Made of stainless steel 304 Continuous hinge with holes Unfinished Range of motion: 270 degrees minimum Knuckle length: 1/2"